Clementina Old Fashioned at Jaleo. Spain is the world’s largest of producer of clementines, and in honor of the sweet winter citrus, Jaleo is celebrating with a Clementine Festival through Dec. 20. The restaurant's three locations are serving special tapas and drinks featuring the fruit, and you can snag a box of Spanish clementines to take home for $7. 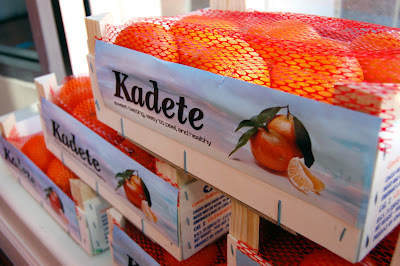 Spanish clementines, stacked in the window at Jaleo. One festival offering that caught my cocktail-loving eye: the Clementina Old Fashioned ($12), a twist on the classic bourbon drink featuring clementines and cinnamon apricot syrup. Here's the recipe, adapted for home use. Combine sugar and water in a sauce pan and bring to boil. Simmer until sugar is dissolved. Add cinnamon sticks and apricots (1 apricot for each drink you plan to make). Cook over low heat for 5 minutes. Let cool and stand for several hours. 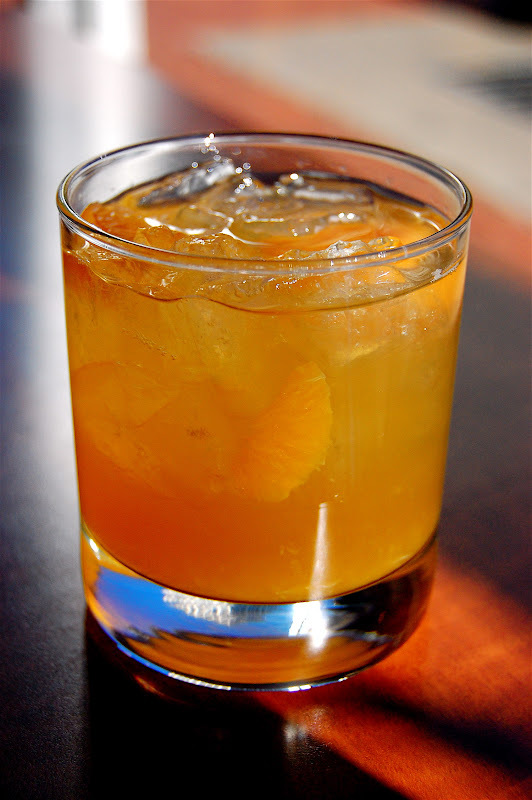 In a cocktail shaker, combine clementine segments, bourbon, cinnamon apricot syrup (with a whole apricot from the syrup) and enough ice to fill a rocks glass. Shake well. Pour into a rocks glass and finish with a generous amount of clementine zest. Use any left over syrup to sweeten iced tea or for other cocktails. You should definitely come up with your own version of this drink and call it a McClementina.